Most people spend about 50% of their work day checking, deleting, and replying to emails. It often feels like email is taking over our lives, and not just those junk emails. Even the useful and essential emails need management and organization. That’s where email plug-ins come in, helping you organize and schedule your emails, even bumping emails back into your inbox when you actually have time to deal with them. 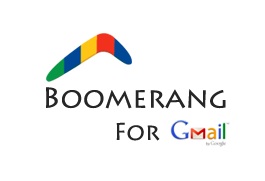 One such plug-in is called Boomerang, named for its ability to “boomerang” emails back into your Gmail inbox. Boomerang is available for Firefox, Chrome, and Safari. The first step is simply to go to: http://www.boomeranggmail.com/download.html and click the giant red “Install Boomerang” button. 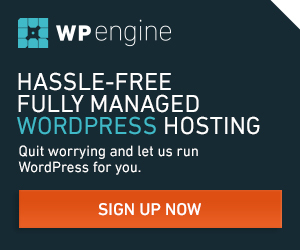 From there, the plug-in will be automatically installed on your browser. Because some Firefox and Chrome users have sensitive blocks set up on their browsers in order to stop malware from making its home on their computers, you may have to temporarily disable these safeguards in order to allow Boomerang to work its magic. Once installed on your browser, when you enter Gmail and begin composing a new email, you will see a small, multicolored boomerang next to your send button. 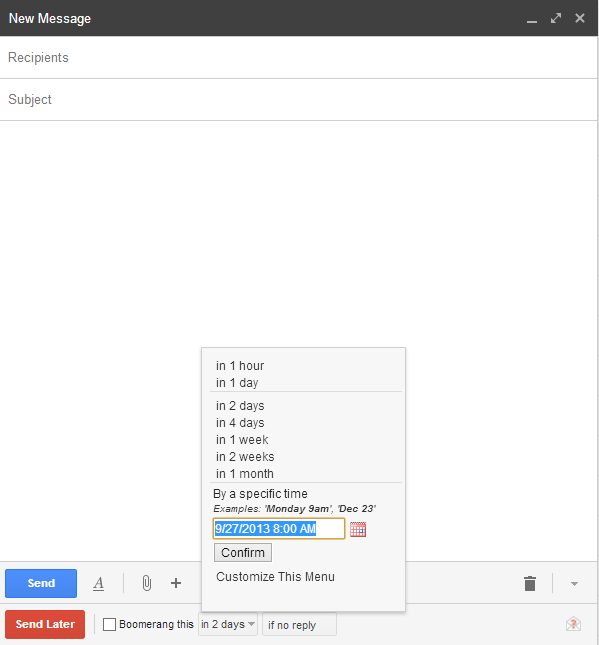 This drop-down menu allows you to schedule when that email will be sent. And while it has the standard suggestions (one hours to four hours, two days to one month), you can also pick a specific time and date. Once you have made your selections, simply click “confirm” and when you click “send,” your email will be sent to the Boomerang Outbox, where it will await its delivery time. 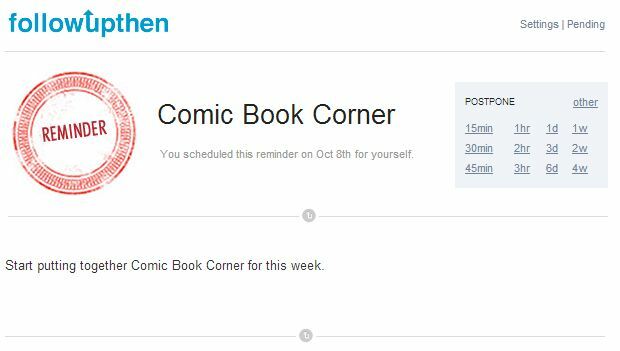 In the same format as scheduling an email to be delivered, you can setup e-mail reminders for yourself. If you know you have to deal with an email by a certain date, and you don’t want it to get buried in the mountain of other emails, you can schedule you reminder or a “boomerang.” When viewing the email, you will again see that little multi-colored boomerang. The drop-down menu looks the same as the scheduling menu, and it has the same choices, allowing you to send the email away for up to a month, or to any specific time, chosen by you. The email will then disappear from your inbox and reappear when you actually want to deal with it. Followup.cc is an email follow-up service that allows you to schedule reminders by forwarding your emails to a followup.cc address. When the predetermined time comes, the service forwards the email back to you and it reappears in your inbox. There is also followupthen.com, which operates in basically the same way: sending an email to a followupthen.com address and when the schedule time rolls around, the email is returned to your inbox. Because you send the email away to another email address, it works with any kind of inbox, but is also a less elegant solution, and both have their bugs, as they deal with outside servers.